This is a fun, quick, and simple miniature sampler, stitched in ONE Tudor Overdyed Silk, 12-ply fiber. It really stitches rather quickly, as if you don't already know......All silk gauze stitching with silk fibers is only a HALF-STITCH, rather than a full cross-stitch. Cuts your time in half? Right! and it stitches so exact in detail. I really enjoy stitching on silk gauze. This is 40-count silk gauze, and I have pre-mounted it onto an acid-free mat for your ease in handling/stitching, and it also keeps your hands off the gauze. Brilliant. The quality custom hand-crafted dark walnut frame is also included in your kit. 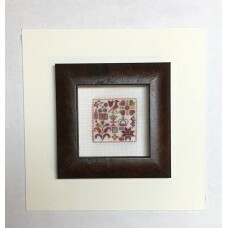 The size of included frame is 3" square. 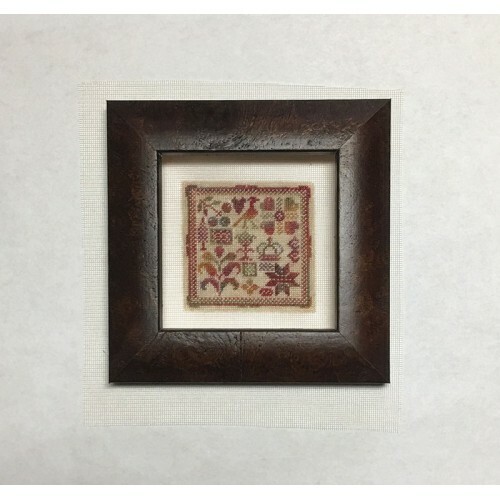 The size of the stitched miniature silk sampler is 1.75" square. 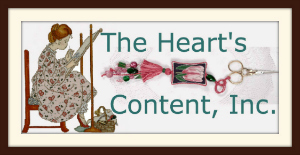 Includes numerous flowers with several stitch count and linen suggestions. ..
A great tribute to my recent tour of Norway. Rosemaling is the traditional folk art painting of flow.. 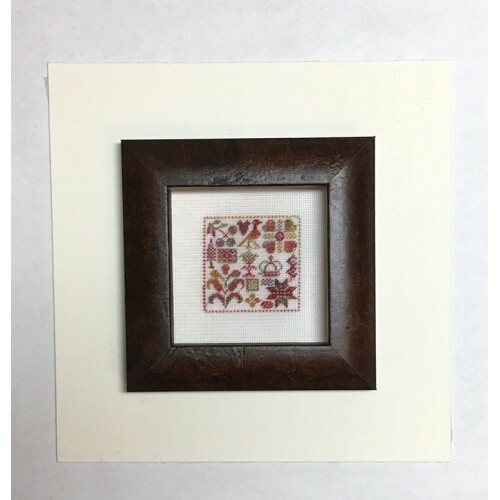 Such a dear story to accompany this sweet tiny sampler (4" square); it's included in kit tutori.. The second in the SOB series. "Stylized Pink Flower" on Michigan Birdseye Maple (second in serie.. This is the third in the series.Kit #251 is "Stylized Violets", and Kit #252 is an "Alphabet". Both .. This is the fourth in the SOB series.Kit #251 is "Stylized Violets", and Kit #252 is an "Alphabet". ..